I had spent weeks preparing for my first Etsy workshop. I had designed my course assuming my students would be women between their 20's - 40's. When I walked into my classroom, my jaw dropped. There’s a new name for this entrepreneur called the “Encore Entrepreneur” according to Deborah Banda of AARP. An “Encore Entrepreneur” is any one over the age of 50 who starts a small business as a career. I shouldn’t have been shocked by all the Encore Entrepreneurs that came to my class. Of course these would be my students. These people have been working for decade and with retirement now lasting 30 years, they’re looking for a new career change but still want to enjoy their retirement. 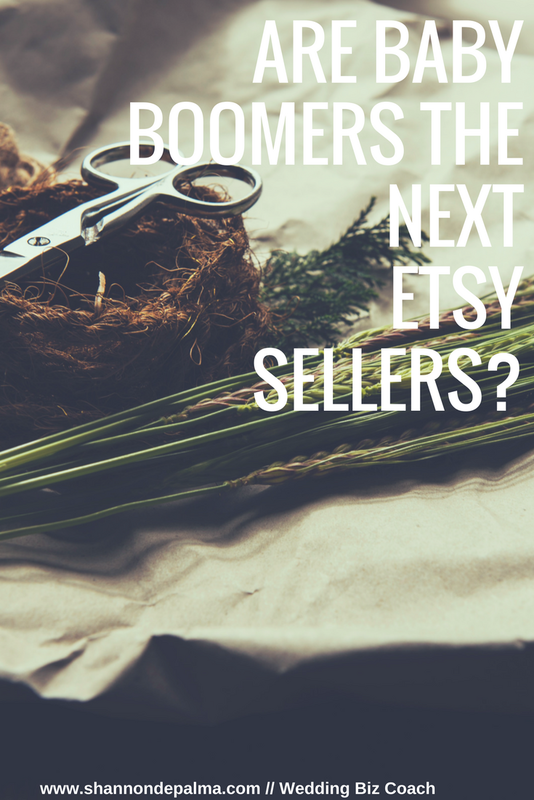 Etsy is perfect for Encore Entrepreneurs, offering the flexibility to enjoy retirement but still feel like you have a purpose and/or career. If you’re looking to be an Encore Entrepreneur, The Etsy Course is open for enrollment, and will teach the new wave of Etsy sellers how to do this whole online selling thing.